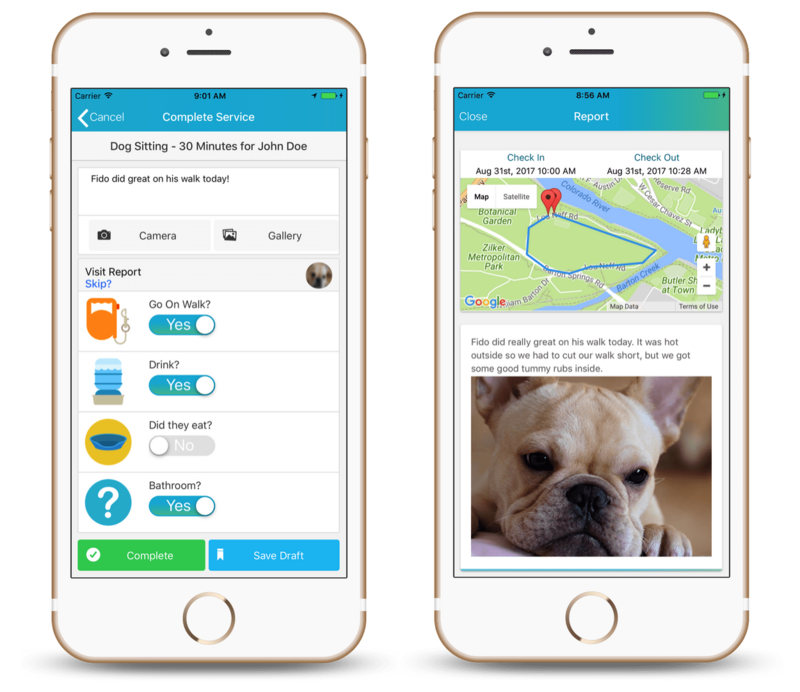 Are you thinking about making a switch to Time To Pet, or just curious about how it compares to Power Pet Sitter (PPS)? We've put this guide together to help you make an informed decision about which is the best option for your business. We hope it helps...but if you still have questions please don't hesitate to contact us. Time To Pet differentiates you from your competitors. Your staff and your customers expect well designed, responsive and easy to use websites. Time To Pet has been built with a major focus on design and our Customer Portal is all of the above. In Time To Pet - Customers can request appointments, see their schedule, send you messages, make credit card payments, and update their contact and pet information directly from their portal. Time To Pet is easier to use. As a business owner your time is limited. You shouldn't be in a constant battle with your software to run your business. It should do what it needs to, quickly and get out of your way. Time To Pet makes managing your clients, sitters and their schedules a piece of cake. 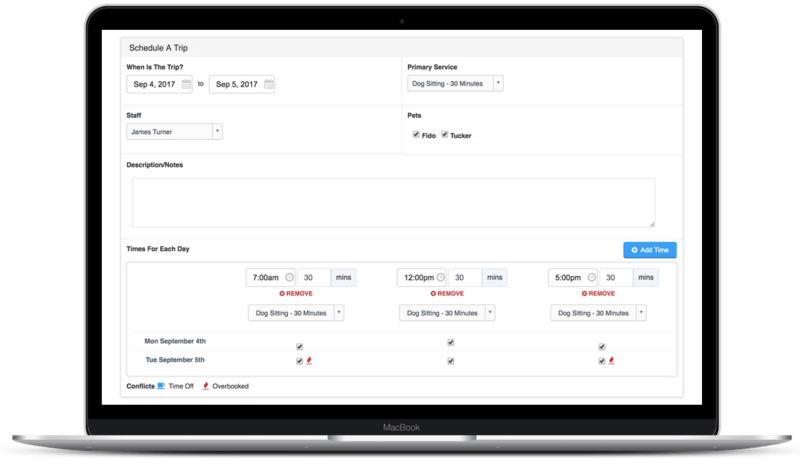 Save time creating recurring events, automatically email sitters their schedules daily, email or text customers from within Time To Pet (no more exporting email addresses), generate financial reports with the click of a button and much more! Time To Pet’s mobile application is also tried and true! Time To Pet has more robust features. As your business continues to grow - your pet sitting software should grow with you. That’s why Time To Pet is always releasing new features based on the feedback we get from our users. 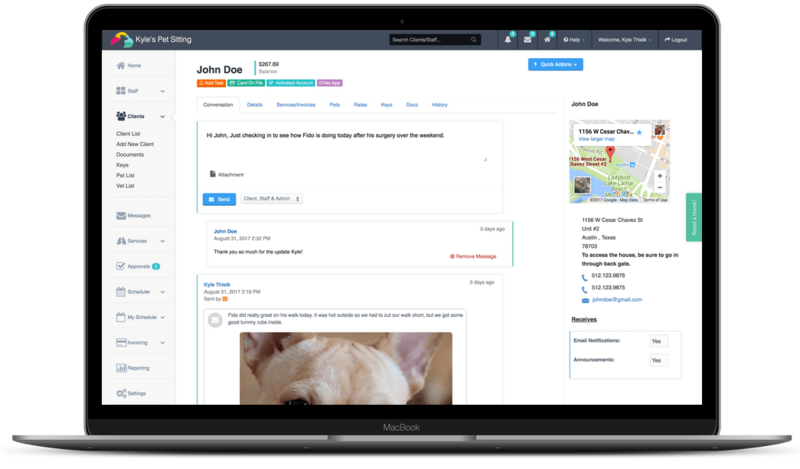 Some of these features include fully integrated text messages, third-party calendar integrations, custom signup forms and more. We also take client feedback very seriously. It’s our opinion that no one knows great pet sitting software better than actual pet sitters! Time To Pet’s billing makes more sense. Time To Pet grows as your business does. We charge a flat rate for each active sitter. This includes all of our features including advanced reporting and text messaging. It doesn't make sense that a company with 6 sitters pays the same price as one with 10. We automatically figure out how many active sitters you had and adjust the rate automatically each month. That means you pay less during your slow months and do not have to delete inactive sitters… ever! Time To Pet is here for you. Contact us at anytime. We know how critical it is to talk to a human when you have an issue and that is why we make it so easy to get a hold of one whenever you need it. Our support is 100% free and always unlimited. We also provide data migration/import support for new clients as well! Time To Pet is always evolving and always improving. We always want to know "What can we do for you and how can we improve Time To Pet? ".